She's right. It's practically negligent to not wear gloves when shucking oysters. Oyster shells are sharp; they will cut you. When you shuck an oyster, you use a knife. Generally, you are pointing that knife directly at your opposite hand. When that knife slips, it might go through your hand. But, it never happened to me. Until it did. There is this amazing person, Sarah, who loves oysters. We have enjoyed many together. 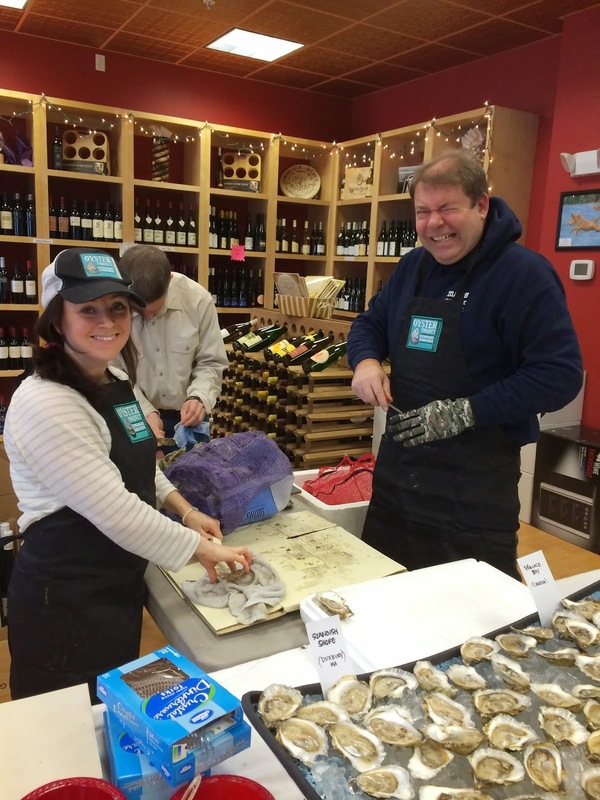 She came up with an idea to bring oysters to a local wine store for people to enjoy oysters and wine together and to raise money for the Massachusetts Oyster Project, an organization working on oyster restoration and shell recycling in Massachusetts. 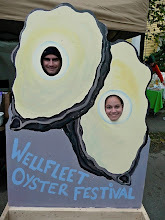 The event was arranged and I volunteered to help shuck 500 oysters. The day started out perfectly. We dropped off the kids at Sarah's, as she was pregnant at the time, and had no interest in attending the oyster/wine tasting if she wasn't able to partake. Off we went to set up and start shucking before guests arrived. I had about 100 oysters shucked and then BAM! My knife slipped off the oyster and drove straight into my hand. 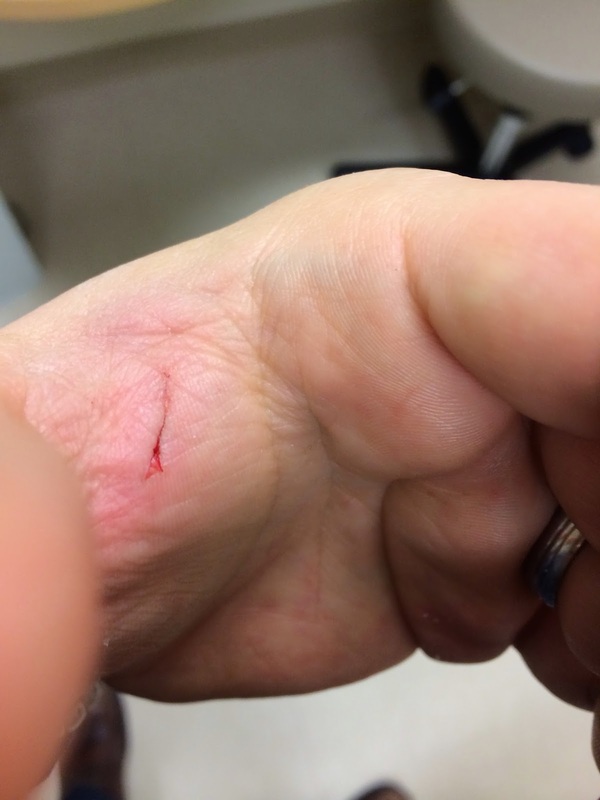 It was a deep cut, the width of a shucking knife blade. If you have you ever had a look inside your hand, it's not a sight you will likely forget, nor enjoy. It seemed to happen in slow motion. I instantly tossed down my knife down on the table and shouted, "I'm done" and headed to find a first aide kit. A short while later, feeling dizzy and sweaty, it was off to a health center to be checked out. Fortunately for me, my first slip of an oyster shucking knife only resulted in glue (not stitches) and nothing more severe. One would think that night I would purchase a good pair of oyster shucking gloves. Me: "Rach, lets get 200 oysters Saturday and invite a few friends over." Big Rock Oysters supplied the oysters. The East Coast, Cape Cod, East Dennis oysters were out of the water for one day when I received them. So fresh. So lovely. I washed them, and we started shucking before friends arrived. Rachel and I were shucking. And talking. Enjoying ourselves. Enjoying the weather. Enjoying life. And then I hear, "aww *&%*." Rach cups her hand and heads inside. I knew what had happened and I felt sick. She went inside to clean her wound and bandage it up. Fortunately her cut didn't require stitches but it definitely put a damper on her party prep and her mood that night! When it happened, and even today, her cut hurts me more than it hurts her. How could I not had oyster shucking gloves for her? We use a towel. A towel holds the oyster. It doesn't prevent the sharp oyster from cutting you when you pick it up and it certainly does nothing to prevent a knife from going through your hand. It's lazy. I wear a seat belt. I wear a bike helmet. Why don't I shuck an oyster while wearing a glove? An oyster shucking glove is essential. I certainly will no longer allow anyone around me to shuck an oyster without a glove (or without a proper shucking knife). 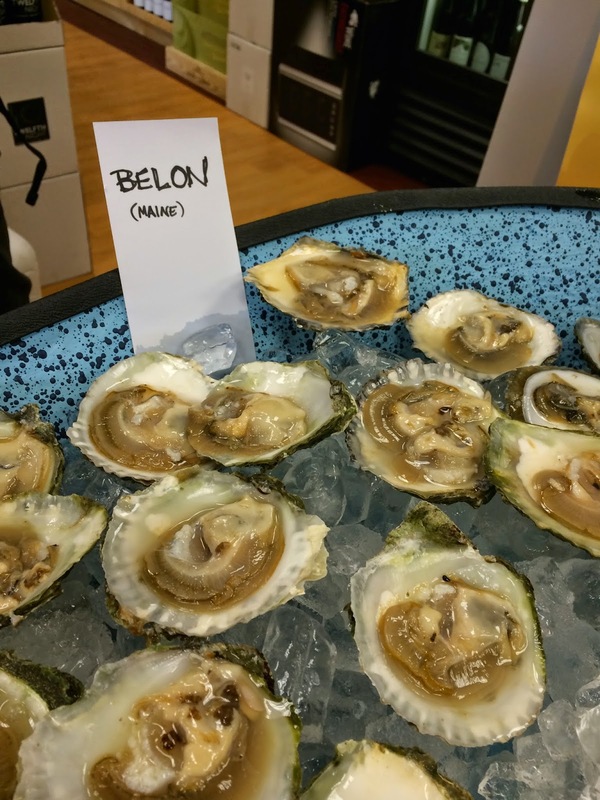 So, if you are going to eat oysters at home (and you should!) find an oyster farm and go get some oysters, or have them shipped to you. Or go to your local fresh seafood store. But first, order an oyster knife and an oyster shucking glove. Click on a link and buy a few pairs of gloves and an oyster knife or two. And please, practice safe shucking!